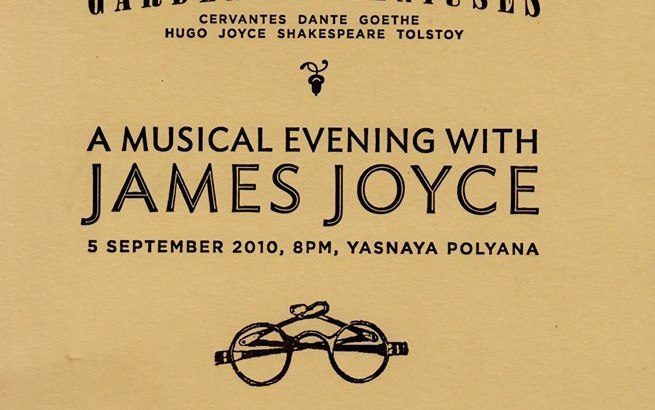 The James Joyce Centre has organised Joyce events, from the annual Bloomsday to lectures series and beyond, and this online exhibition displays the unique ephemera created by the James Joyce Centre over the last 25 years. A visual exploration of the Centre’s involvement in Bloomsday and other Joycean events from 1988 to 2012, this exhibition includes pamphlets, posters, information leaflets and magazines, some only a taster of what lies inside the location of the Centre, here at 35 North Great George’s Street Dublin. This exhibition is a showcase of the dedication and creativity the Centre has placed in the crafting of each individual item, and provides a deeper understanding of what it is that the Centre does, and does so well, now and in the previous 25 years.